Built for Safety. 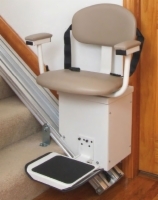 Every detail of our Rubex electric powered stairlift is designed with your safety in mind. 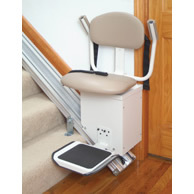 We build safety sensors into the footrest, include a locking mechanism in the seat belt, and give the motor instant reversing capability. With automatic limits at each end of the track, standard mechanical and electrical slack cable safety devices, and a fail-safe mechanism that prevents operation until the seat is in the correct position, this stairlift is one of the safest on the market today. 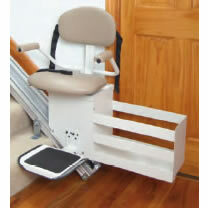 It is ETL listed and meets ASME A17.1 and A18 safety standards for public and private use. 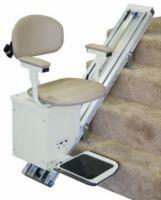 We also include call stations for both top and bottom landings, which can be mounted to the wall or to the floor.